I’d love to hear your thoughts on my posts. So how does it work? “House Rules” for commenting on My Girlfriend Voice (MGV). I review all comments in ADVANCE. If you wish to comment but prefer that I don’t post your message publically, please let me know in your email. I respect your privacy. 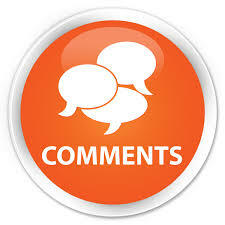 If you would like a response to a private post, please indicate the best way to reach you. Please keep in mind that we do not have to agree but you must be respectful in your exchange. I am an adult and prefer you act like one too. This is not a place to advertise. This is not a place to complain just for the sake of complaining. I may not be able to respond to every comment but please know that I read every single one. If you wish to reference my post on another site, you may do so as long as you credit My Girlfriend Voice as the source. I am happy to share my stories but it is cool to give credit where credit is due. If you prefer snail mail, you are out of luck! Cara, you have always been the decathalon winner in my books. Congrat’s on your rightfully earned gold medals! This is brillant and I am going to steal it. Here is to “Gin and Bear It!”!! Cara, happy birthday and congratulations on fifty well done years! I have only known you a handful of those years, but you strike me as someone that grows in wisdom daily and enjoys the triumphs rather than spending your time fretting over the not so tiumphant moments. So glad you loved my city, and yes it is a friendly place to live! The first time I ever went to the grocery, when I moved down here, I was looking for some sausage to make gumbo. Well there are about ten brands. I must have looked lost, because this older African American lady walked up to me and proceeded to tell me all the flavor profiles of each brand and what worked best for certain dishes. That wouldn’t have happened in SF in a million years! I will never forget that friendliness. Unfortunately, we have our share of idiots here too. The South is about 50 years behind the times when it comes to racism, I see it all the time from close friends to co-workers even. And it never ceases to shock me. I let them know this wasn’t how I was raised to think, and then I just distance my self from them. It’s funny, I never put my self above anyone because of their race, but always put my self about racists because they’re idiots to me. What is ironic however, is Mexican workers came into New Orleans after Katrina and did all the dirty work, and I mean dirty, to get this city back on it’s feet. I would like to have told the guy on your flight (talk about bad attitude) how Mexicans basically saved New Orleans and we wouldn’t have recovered to the city we are today with out their contribution! As a married mom of 3, I can always meet another woman and pluck out immediate qualities. From day one that we met it can be summed up as intelligent, confident, savvy and honest. As I got to know you personally the words witty, beautiful, hysterical, loyal and inspirational were added. You touch lives and bring brightness with you like turning a light on in a dark room. You will find love in your time, on your terms and with the right man for the reasons. Your journey has begun and I know your life will gracefully fall (or dance its’ way) into place.